OCALA, Fla. (January 18, 2019) — Crossman & Company, the Southeast’s premier retail leasing, property management and investment sales firm, has announced it’s now leasing and managing Churchill Square in Ocala, Fla.
Senior Leasing Associate Rochelle DuBrule and Senior Vice President of Client Services and Operations Marc Cook finalized the new assignment at 303 SE 17th St. in Ocala, Fla.
“The Ocala retail market is strong and always adapting to meeting consumer demand. Churchill Square offers the products and services with a convenient shopping experience,” noted Cook. 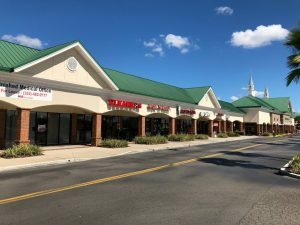 The experienced Crossman & Company team continues to show the ability to fill retail centers with desirable brands and tenants. Churchill Square is located minutes from Historic Downtown Ocala and in the heart of Central Florida’s finest medical institutions including Florida Hospital Ocala and Ocala Regional Medical Center. 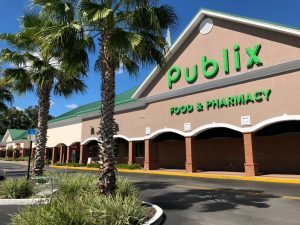 Current tenants in the 118,848 square foot Publix anchored shopping center include Hair Cuttery, Quest Diagnostic and Huntington Learning Center along with a neighboring Ocala Ale House and Longhorn Steakhouse. For more information contact Rochelle DuBrule at (404) 581-6248 or rdubrule@crossmanco.com or visit www.crossmanco.com.